Easy-to-make desk name plates, supported by economical SNAP® sign frames and stands, give your workplace a professional quality. Our wide range of supplies enables you to also create corresponding printable door signs and name badges in a matter of minutes. A clear, textured frame makes every name easy to read, easy to remember. 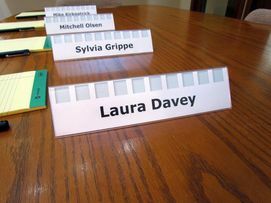 And you can make your own reusable desk name plates look fresh and contemporary for any business setting. Attractive DIY custom name plates give each workspace a dash of originality and a touch of professionalism. 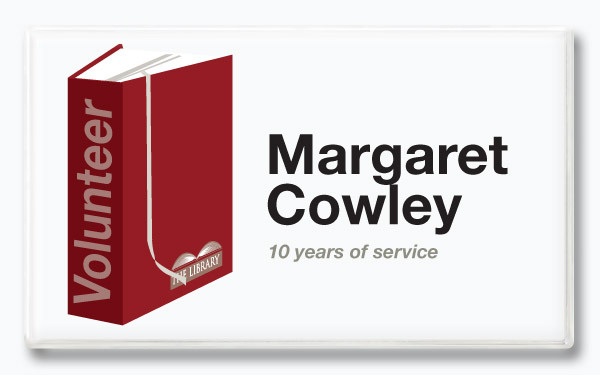 Take this novel approach and create affordable, personalized nameplates that give a sense of your profession and the ways you can help. 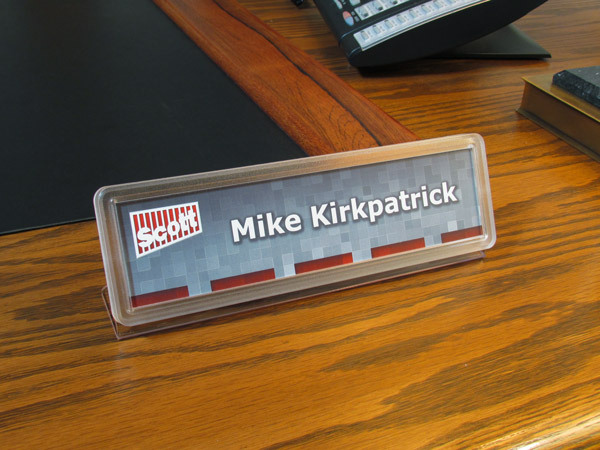 Now it's easy to make your own desk signs and changeable desk name plates! 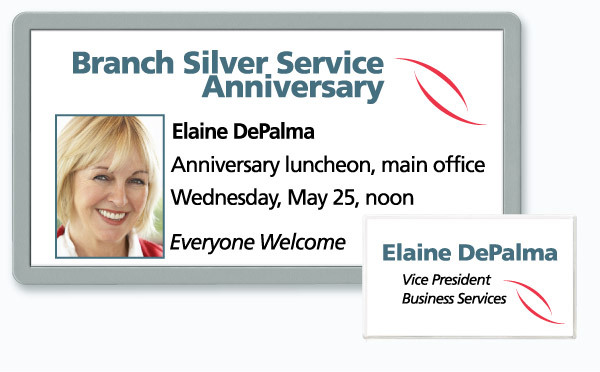 To give your name the respect it deserves, utilize 4" x 10" reusable door nameplates that display the full name, title and other relevant information for a SNAP sign everyone will read. Changeable teller signs and matching teller name tags highlight the unique nature of your people and your bank...and you can make your own desk signs, nameplates and I.D. tags yourself! Let seminar participants feel like recognizable friends with these double-faced, reusable name tents that break the ice for any event. 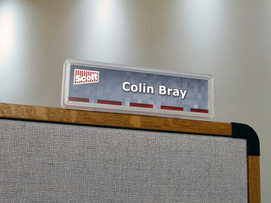 Create your own stylish nameplate that stands tall and sits firmly on partition tops and other platforms. We'll even custom-make your S.N.A.P. sign stand for you! 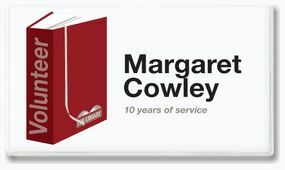 Create a changeable name tag that's large enough to display not only your good name, but also your logo, your title...even years of loyal service. Now that's a grand entry that speaks volumes! 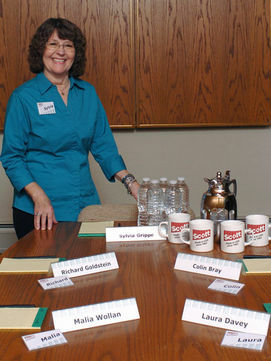 Our goal at Scott Machine is to get to know you...and your business...even better. 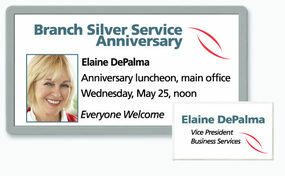 If you're in the area, we're always eager to sit down and talk, face to face. Just name your time...we have the place. And some pretty good refreshments too! 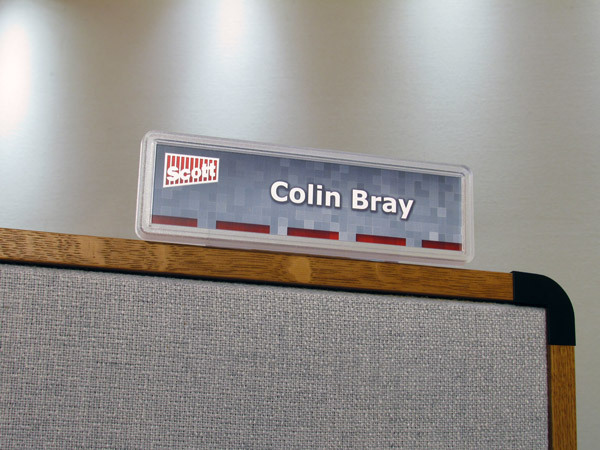 Our people and products provide all the encouragement you need to print your own customizable desk nameplates and supporting name badges, using economical SNAP papers, frames and supplies. Now it's easy to make, in minutes, introductions that last for years.